One week after her estimated due date, at 11 minutes past five in the afternoon, Peyton Rose entered the world at York Hospital. Weighing 7lb 12oz, with a full head of hair, she stole our hearts instantly. I know birth stories aren’t everyone’s cup of tea. I loved reading other people’s even before I got pregnant but especially so when I was expecting. I’m writing this more for us to always remember, and for Peyton to read one day. It’s going to be long – my labour was about 20 hours in total – so make sure you’ve some refreshments if you’re going to carry on!! So, I’ll start by setting the scene a bit of you. My due date was calculated as being Wednesday, June 13. Throughout my pregnancy people kept telling me they didn’t think I’d get to my due date because I was so big. I had started to believe all this because by the time 13th June arrived, I was already fed up and felt overdue. We’d opted to do hypnobirthing classes while pregnant. After reading lots about it, and hearing all the positive birth experiences, we really wanted to emulate this. I know every birth is different, and some things can’t be controlled, practiced or rehearsed, but we wanted to give it the best shot we could at being as calm, relaxed and natural as possible. For those not aware, hypnobirthing is essentially training yourself to use breathing and relaxation techniques to keep you calm and relaxed during your labour and make your birth much more empowering and controlled. 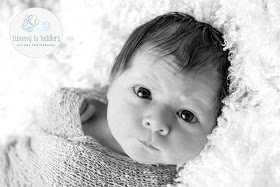 We did our classes with Sandra Stones who has her own hypnobirthing company based in Cottingham, near Hull. She was absolutely fab and her classes had just six of us in, which made them feel really personal. The classes themselves were great, as was the support from Sandra and the materials we took away to practice until the big day. Practice included: practicing relaxation techniques each evening; practicing breathing techniques for during contractions and during the “pushing” stage; reading scripts and positive affirmations; and listening to relaxation passages. We both felt totally prepared going into the labour and just simply needed things to get going! I had a sweep at my doctors on June 14th (one day overdue) which wasn’t all too successful. The midwife struggled to reach my cervix (due to its positioning and baby’s head being so low) so she didn’t managed to do the sweep. I had a second sweep on the Monday (five days overdue) and things had already progressed from the previous attempt. The midwife was able to get in and do the sweep, but still said my cervix was a bit far back. She booked me in for another sweep that Thursday (21st June) and said at that appointment they would book me in to be induced the following week. On the Tuesday morning I woke up with tightenings and “cramps” in my lower tummy. I lay in bed for a while, watching Desperate Housewives, and kept changing position to see if they continued. I’d been getting Braxton Hicks for some time now and each time they got a bit more intense and lasted a bit longer, and I thought things were starting. As I went and met my mum things eased off slightly. And, by tea time, the twinges were still coming. When we were going to bed, I said to Tom I was still having these twinges and cramps no matter what position I was sat/stood/laying in and whether I tried to walk them off. They were also getting a bit more intense. Every time I started to drop off to sleep I’d get a twinge, which straight away woke me up. By 1.30am, they were getting quite uncomfortable and intense. They were also coming more regularly. I didn’t want to wake Tom, as I wasn’t sure how long this early stage was going to last for and I wanted to make sure he was fully rested and ready for the long day that lay ahead. I came downstairs, bounced on my ball, paced around the room, watched Desperate Housewives, and, more importantly, practiced my relaxation and breathing techniques. I had the breathing though each contraction down to a fine art, although they were getting quite intense and I had to be standing during each one. At 5am, I decided to have a bath. Not just to keep me relaxed but to ease the intensity of the contractions. They were starting to get really regular by this time, every three to four minute and lasting anything from 45 to 80 seconds. I found it really help me focus to time them, I’m not sure why! These were the only words I could muster and I could see the look of confusion plastered across his face. “Time for what? Work?” He asked. I think the penny soon dropped because, before I could answer, he shot out of bed. He got my hospital notes and rang them, although had only been awake a matter of minutes so wasn’t too sure what was going on. As he passed the phone to me I was hanging out of our bedroom window (trying to cool down, it hadn’t got that bad!) and gripping the windowsill. The lady on the phone asked various questions which I answerd in between breathing deeply and keeping focused on the matter at hand. She said I needed to get into hospital and advised we set off straight away. As we rushed to the car, I really hoped things were as far along as they seemed. The last thing I’d want is to get there and them to send us home because it wasn’t far enough along yet. We arrived just after 7am and were seen pretty much straight away, and I was 4cm dilated! They admitted us into the delivery ward and we were on – “your baby is being born today,” the lady said to us. Pretty much from the start of the pregnancy we’d said we’d like a water birth, and this was solidified after doing hypnobirthing. We told our midwife and she began prepping one of the two pools at York. We had been worried there wouldn’t be a pool free – it seems this was unnecessary as both rooms appeared to be used more as rooms to store spare beds in rather than give birth. Once the pool was ready we headed over. We’d got some little battery operated tea light candles to try and help set the scene, as well as some nice smelling Temple Spa room spray. The hospital also has aromatherapy in the rooms which we opted to use. Once the “big lights”’ were off and the lowly lit coloured lights were on, I felt like I was in a spa. It smelt beaut, and the whole aura was just so relaxing. I’d downloaded a playlist on my iPad which we took with us. It had really nice, slow, acoustic songs like Ed Sheeran, James Morrison, Sam Smith etc. It was nice to have that in the background – sometimes I found myself even managing to sing along! I was breathing through my contractions and everything was going smoothly. By midday I was 6cm dilated. The midwife said they typically say you dilated at 0.5cm an hour. I remember thinking I didn’t wanna wait 8 more hours to fully dilate – I had already done so much I wanted her here now!! As I kept things going, Tom helping me focus on my breathing during each contraction and helping me stay in the zone, I could tell things were picking up pace. My contractions were coming even thicker, even faster and even more intense. I had some gas & air to get me through them because I felt like they were hitting me like a train. It was around this time that my waters broke. It was so strange, the sensation of them breaking in the pool. I’d had a bit of gas and air by this point so was feeling a bit delirious. I really made Tom, and the midwife, laugh when I described some of the things that came out with my waters as looking like sea monkeys and sea horses. The midwife was quick to grab her sieve (yes, a sieve like you’d have in your kitchen cupboard to drain rice) and fished them out. By 3pm I was fully dilated and starting to get the urge like I needed to push. By this point, I had to sack off the gas and air. It was too hard to control my breathing while still relying on the relief of the gas and air. I knew the breathing would help me better control things and get her out easier, so went it alone. The midwife came back and said it was definitely meconium, from the baby, and they wanted me to go in another room over the corridor so that they could strap me onto the monitor. This would make sure that Peyton was ok and would check her during each contraction. No sooner had I moved over onto the other room and been strapped onto the machine, the midwife said she thought they needed to intervene. Each time I was pushing they could see Peyton’s head, but I couldn’t muster the energy or the strength to breathe her out that final bit and she kept slipping back. The midwife said they wanted to do a ventouse delivery, which is basically a little suction cup they put on baby’s head when you have a contraction and help her come out while I pushed. The room quickly filled with another midwife, a lady with a big tray of very sharp looking tools, and a man with a resuscitation table. My midwife assured me that the resuscitation machine was brought in for every assisted delivery just to be on the safe side, but nine times out of ten it wasn’t needed. As the lady with all the tools started inspecting, she told me I needed an episiotomy. By this point, I was past caring what they did to me – we both just wanted Peyton out safe. As she injected me with local anaesthetic, she made a start on the episiotomy. Everything from here feels like a bit of a blur. I was told that on my next contraction to push and breathe down as normal and the lady would feel where she needed to attach the cup. The one after that, she attached the cup. The third one, I had to push and breathe down as she sucked the head out. They quickly slapped her onto my chest and she did a little squeak. No sooner had she been placed there and she was rushed off to be checked over. By this point she was full on squealing, so I was positive everything was okay. As I was stitched up, Tom and Peyton had some skin to skin bonding time. I tell you now, being stitched up was worse than the labour itself. I hadn’t had any gas and air since getting out of the pool but I was chugging it like it was going out of fashion while she was stitching me back up. It felt like it lasted ages, as well! Before long, I had her on my chest – and it was amazing. All those months of growing her, feeling every wriggle and kick and movement, the sickness at the beginning, and the longish labour – it was all worth it. She had so much hair – suddenly all the indigestion made sense – and her eyes were amazingly big. She was just amazing. Our beautiful baby girl was finally here and we were now the perfect little family. I would honestly recommend hypnobirthing to anyone considering it, as I would a water birth. Don’t get me wrong, it wasn’t a painless experience, but by controlling my breathing, staying relaxed and keeping calm I could control the pain myself and keep in control of what was happening. When it was over, I felt so incredibly empowered. I felt amazing, I couldn’t believe what my body had just achieved. I honestly could not have done it without Tom. When I started to lose it, and my breathing went a bit awry, he straight away got me back on track and did all the things we practiced all those nights leading up to her birth. The whole thing was just an amazing experience and we have the most incredibly beautiful little baby girl to show for it.